Stacy and Hugo registration now open! Please contact may@pghwcs.com to register! We are now located at the Cube Creative Space building in East Liberty, 5877 Commerce St, Pittsburgh, PA 15206. Our last Tuesday at Absolute Ballroom will be next Tuesday, the June 12th. We will pick up the following Tuesday, the 19th, at Bodiography in Squirrel Hill at 5824 Forbes Ave. Pittsburgh, 15217. This will be our interim space until Amanda Wolf opens her new studio. If you have any questions, feel free to email pghwcs@gmail.com. We are going to cancel the third Saturday dance this month, but we will pick up our weekend dances again in July. Please note there will be no more Crafting your WCS class. Our patterns class will be now held at 7:30pm, and our Beginner lesson at 8:15pm. Workshops will take place at Aboslute Ballroom and Dance Center. More information to come! 2) First Friday dance will be held on June 2nd. If you bring a beginner to this dance, you will both get in for free (if you bring more than one beginner, everyone will get in for free). There will still be a practica from 8-9pm and the beginner lesson will take place from 815-9pm. 3) The third Saturday dance will be held on June 17th with DJ Katie Fallon from 8-11pm following Lori and Ryan’s workshops. 7:30-8:15pm Crafting your WCS, with special guest instructor, Stephanie McHenry!! 2) First Friday dance will be held on January 6, 2017 There will be a practica from 8-9pm and the dance from 9pm-11pm. The theme is Flashback Friday, Through the Decades. Come represent your favorite decade at our Flashback Friday dance! There’s going to be a costume contest, sweet jams and yummy treats as we celebrate the new year! We will also be raffling off not one but TWO weekend workshop passes. One for the Moy’s WCS/Zouk workshops and the other for… wait for it…. 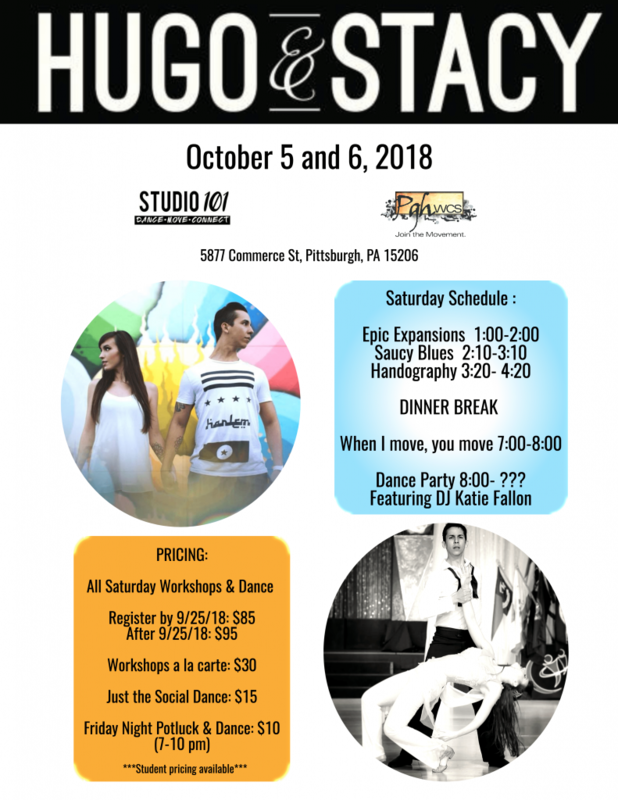 Jennifer DeLuca workshops… in Pittsburgh!!!!!!!! She will be here April 7-9th and teaching workshops on the 8th. 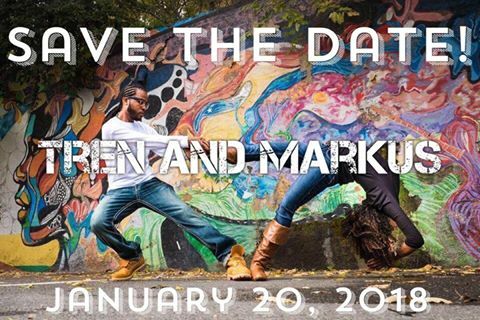 3) The third Saturday dance will be held on January 21, 2017 from 830pm-1130pm following WCS and Zouk workshops by Chris and Melissa Moy! Registration information is at the bottom of this email. *Identifying and understanding the pulse and rhythms in West Coast Swing and adding variety to footwork. Participants will put the movements in motion with material that can be applied by yourself or within a partnership.